Deluxe Room : Touch a large room that will make you feel relaxed with sea views, release emotions and concern. Throw them to the sea. Sea View Room : If you are looking some place to escape from confusion, we are the best answer with the private room near the beach of Koh Tao. You will meet peace, happiness and beautiful place at here. Garden View Room : When you feel tired, don’t have the power to move forward that mean you need the natural healing. Let your body and mind to be a part of nature to absorb the beauty into your body. Replace the missing part by trees and beach. Easy Divers founded in 1987, today has 3 Dive Centers (Koh Tao, Nangyuan Island and Chumporn) and 6 Booking Offices (Bangkok, Hua-Hin, Chumporn, Koh Samui, Koh Tao and Nangyuan Island) in Thailand. Koh Tao Easy Divers takes all the effort out of these planning and preparing through all courses of beginner to the leadership level are available and in a number of languages to ensure that you get as much as you can out of you diving experience. Let’s we tell you more about us. 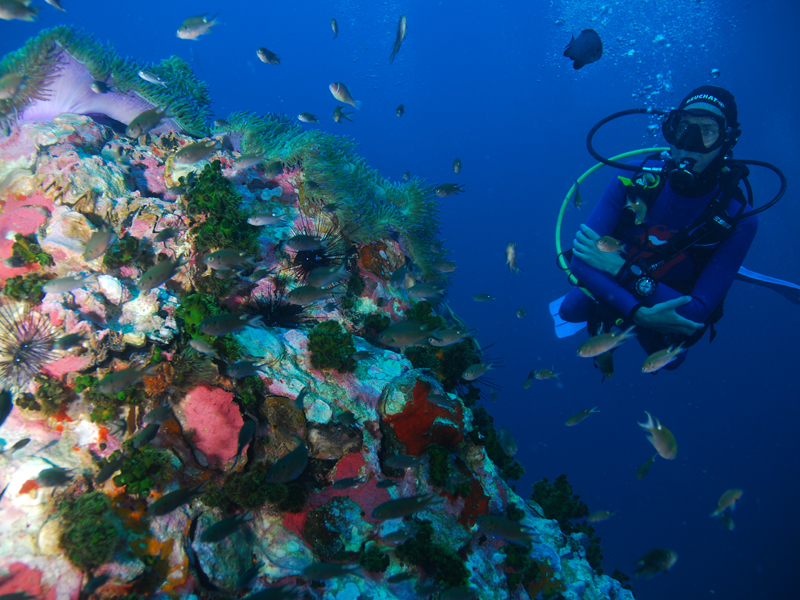 We are a PADI 5 Stars Instructor Development Center (IDC). We have the Dive Shop Office in Mae Haad, situated right by the Lomprayah High Speed Catamaran’s Pier. Mae Haad is the little "downtown" where you arrive with the boat. Look for the big sign with “Easy Divers” written on it. Our 2 Dive Resorts called "Easy Divers Resort" is located in the tropical garden upon the hill with a nice breeze in the evenings so it doesn't get to hot at night. This is where we have our Bungalows, Restaurant, and Classrooms etc. "Beach Club Resort" is another dive resort on the Westside of Koh Tao, we have our Beachfront bungalows, Restaurant and we get amazing sunset in the evening everyday on our Private Beach. ​Both Dive Resorts are close by a shopping area on Koh Tao that offering E-mail Cafés, Coffee Shops and Bakery, Souvenir Shops and the best Restaurants on the island, so it's usually convenient for everyone. “Sairee Beach” is on the North side with a 15-minute walk from Mae Haad, where you find the nice Party Places and Beach Bars, night life is going on here. 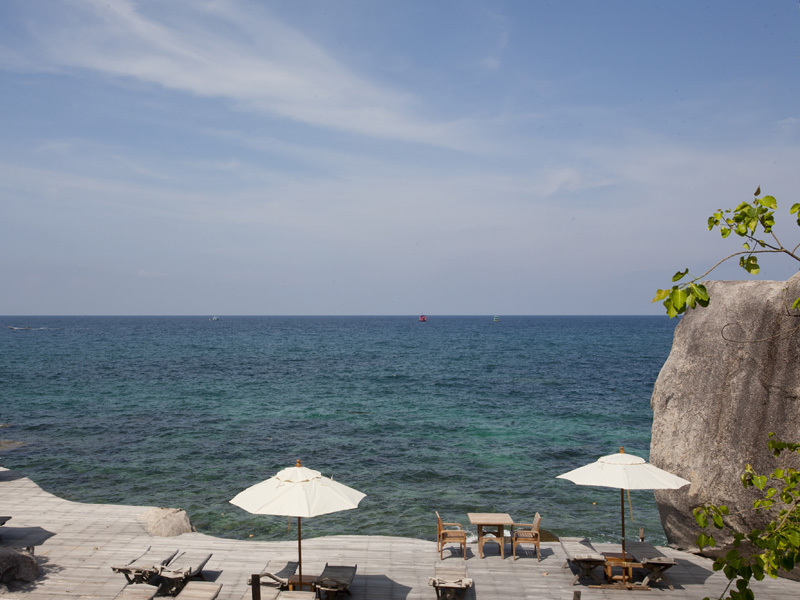 Koh Tao Hillside Resort offers several different levels of comfort to fit your budget and expectations. All rooms come equipped with a refrigerator, video or living room.